Been a while since I posted. Thought I would share what I picked up yesterday at Meijers. This is a new release of 1:64 cars. 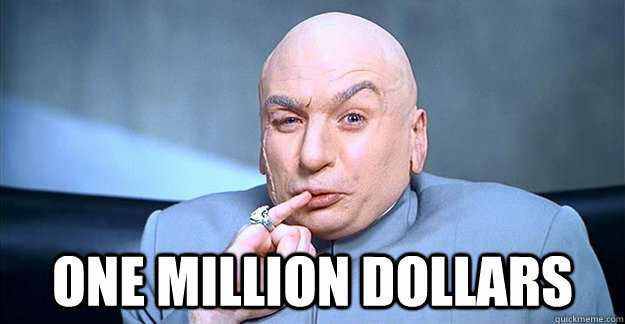 Hmm, might have to wander in my local Meijer this week and see what I see. Awesome news .... Thanks for sharing. I was interested until I saw the designs and colors. 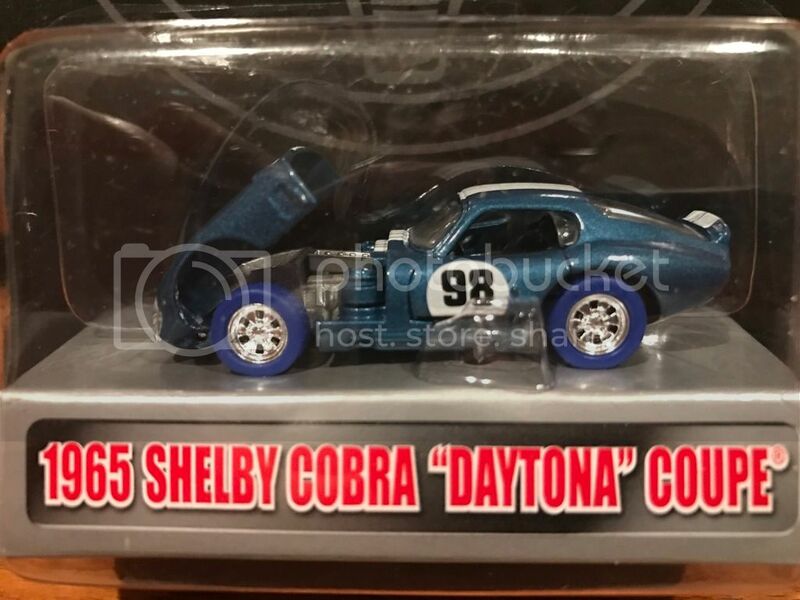 The only ones that I would get are the Cobras and Daytona since the GT350 models were never produced in those years and colors. I know, picky, picky, picky. 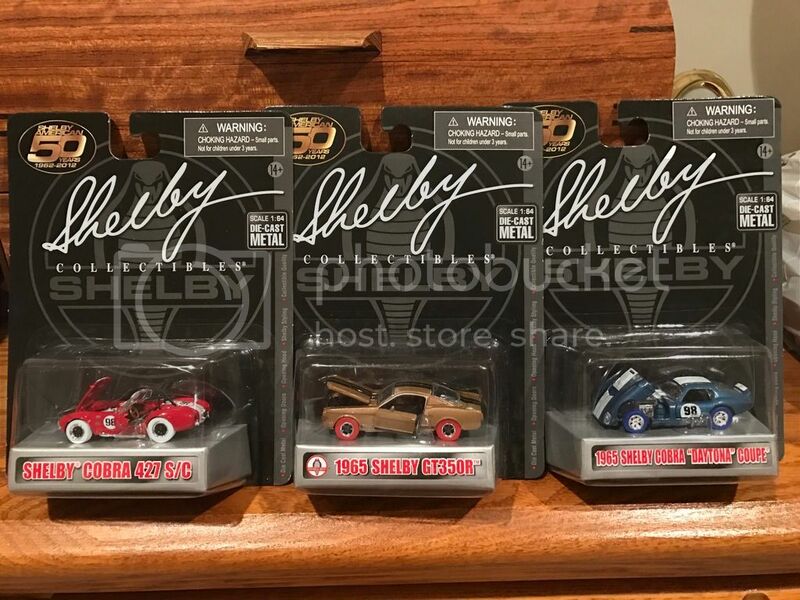 I would expect these models to be available at some point at the SA gift shop and later on line from the Shelby Shop. I was glad to see this post as I anticipated spending a week in Indiana with my son......and the arrival of a new grand son! Yeah! And.....his house is near a Meijer store. I dropped in tonight and picked up 5 different ones. 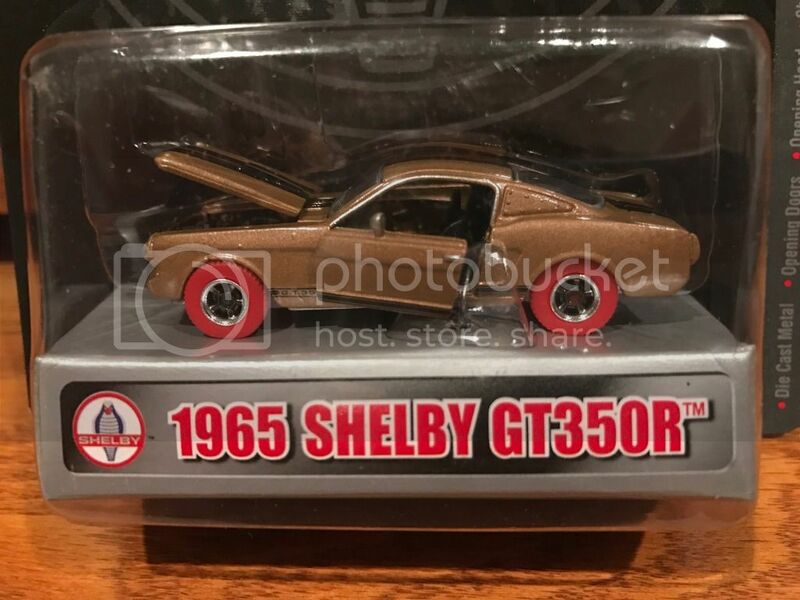 Is there a comprehensive listing of all the cars in the 50th anniversary series? Thanks.....and I may go back again.....or hit the other Meijer store in town! Found a surprise while doing some last minute Christmas shopping a few days ago. I hadn't heard about any new 1/64'ths coming out, but found these on the pegs at TRU. Even thought they have different colored tires, I don't think they are 'chase' cars as there were multiples of each one. Hope all my fellow collectors had a great Christmas! YES I DID. MY WIFE GOT ME A VITAGE 1:16 SCALE OF A 64 1/2 RED MUSTANG COUPE, BUT VERY UNIQUE. IT LOOKS LIKE A DIECAST AND EVEN HAS RUBBER TIRES, BUT IT IS ACTUALLY A JIM BEAMS WHISKY BOTTLE IN DISGUISE. THE BACK WINDOW POPS OFF SO THE CAP INSIDE CAN BE OPENED FOR POORING, WHICH BY THE WAY, HAS NEVER BEEN OPENED! very nice!!! thanks for sharing. pegs are empty here. we as well have one of the two TRU closing. of course the one that is close to me is closing. It's not like these are some rare item. 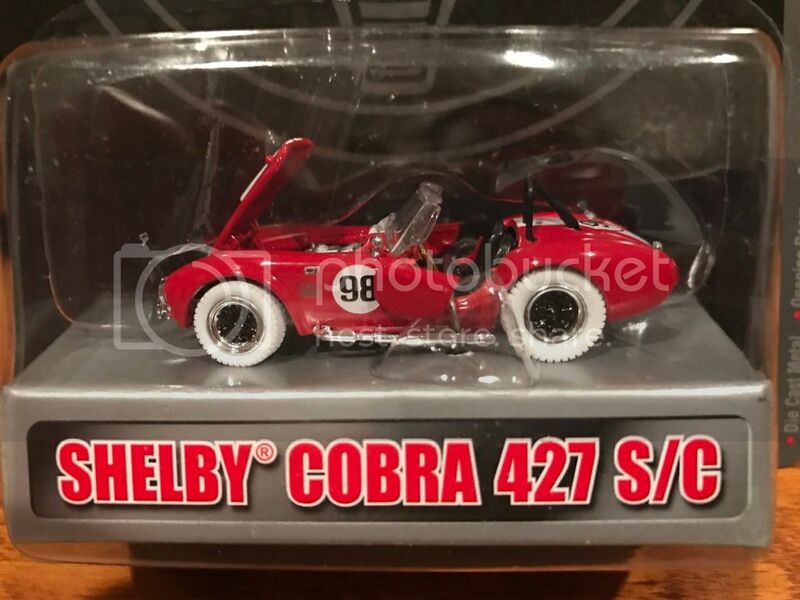 They are also available at sears or you can just go to sears.com and buy them online, or diecastwholesale.com, and they are all over ebay too. J/K brother..... I couldn't resist! Just didn’t want people thinking they were some kind of rarity just because a peg on a shelf was reported empty at some Miejers or Tru . Newsflash!, I was at the local Walmart yesterday and the $1.99 shop rag peg was empty, you better hop in your Shelby and hit all your local stores and buy all you can before they run out or before they go up in price!.............. Before you know it they will be …………. Found this set of four at TRU (aka Toys R Us) earlier this week. It was a surprise as I didn't hear anything was coming out.